If one method of teaching a concept can be successful for student learning, can a combination of methods be even more successful? Well, yes, if the methods of demonstration and collaboration are combined into a teaching method known as the gradual release of responsibility. The term gradual release of responsibility originated in a technical report (#297) The Instruction of Reading Comprehension by P.David Pearson and Margaret C.Gallagher. "When the teacher is taking all or most of the responsibility for task completion, he is 'modeling' or demonstrating the desired application of some strategy"(35). This first step in the gradual release of responsibility is often referred to "I do" with the teacher using a model to demonstrate a concept. The second step in the gradual release of responsibility is often referred to "we do" and combines different kinds of collaboration between teachers and students or students and their peers. "When the student is taking all or most of that responsibility, she is 'practicing' or 'applying' that strategy. What comes in between these two extremes is the gradual release of responsibility from teacher to student, or-[what Rosenshine] might call 'guided practice'" (35). Although the gradual release model began in reading comprehension research, the method is now recognized as an instructional method that can help all content area teachers move from lecture and whole group instruction to a more student-centered classroom that uses collaboration and independent practice. A teacher that uses the gradual release of responsibility will still have a primary role at the beginning of a lesson or when new material is being introduced. The teacher should begin, as with all lessons, by establishing the goals and purpose of the day's lesson. Step One ("I do"): In this step, the teacher would offer direct instruction on a concept by using a model. During this step, the teacher may choose to do a "think aloud" in order to model his or her thinking. Teachers may engage students by demonstrating a task or providing examples. This part of direct instruction will set the tone for the lesson, so student engagement is critical. Some educators recommend that all students should have pen/pencils down while the teacher is modeling. Having students focus can help students who may need extra time to process information. Step Two ("We do"): In this step, the teacher and student participate in interactive instruction. A teacher may work directly with students with prompts or provide clues. Students can do more than just listen; they may have the opportunity for hands-on learning. A teacher can determine if additional modeling is necessary at this stage. The use of ongoing informal assessment can help a teacher decide if supports should be offered to students with more needs. If a student misses a crucial step or is weak in a specific skill, support can be immediate. The three steps for the gradual release of responsibility can be completed in as short a time as a day's lesson. This method of instruction follows a progression during which teachers do less of the work and students gradually accept an increased responsibility for their learning. The gradual release of responsibility can be extended over a week, month, or year during which students develop the ability to be competent, independent learners. This gradual release of responsibility strategy works for all content areas. The process, when done correctly, means instruction is repeated three or four times, and repeating the gradual release of responsibility process in multiple classrooms across the content areas can also reinforce the strategy for student independence. In step one, for example, in a sixth grade ELA classroom, the "I do" model lesson for the gradual release of responsibility might begin with the teacher previewing a character by showing a picture that resembles the character and performing a think aloud, "What does an author do to help me understand characters?" "I know that what a character says is important. I remember that this character, Jeane, said something mean about another character. I thought she was terrible. But, I also know what a character thinks is important. I remember Jeane felt terrible after what she said." "That means the author gives us more information by allowing us to read Jeane's thoughts. Yes, page 84 shows that Jeane felt very guilty and wanted to apologize." In another example, in an 8th-grade algebra classroom, the step two known as "we do," might see students working together to solve multi-step equations like 4x + 5= 6x - 7 in small groups while the teacher circulates stopping to explain how to solve when variables are on both sides of the equation. Students may be given a number of problems using the same concept to solve together. Finally, step three, known as "you do," in a science classroom is the last step students perform when they complete a 10th-grade chemistry lab. Students would have seen a teacher demonstration of an experiment. They also would have practiced the handling of materials and safety procedures with the teacher because chemicals or materials need to be handled with care. They would have performed an experiment with assistance from the teacher. They would now be ready to work with their peers to perform a lab experiment independently. They would also be reflective in the lab write-up in recounting the steps that helped them to get results. By following each step in the gradual release of responsibility, students would be exposed to the lesson or unit content three or more times. This repetition can prepare students letting them practice with the skills to complete an assignment. They may also have fewer questions than if they were just sent off to do it all on their own the first time. There are a number of other models that use the gradual release of responsibility. "Daily 5 is a framework for structuring literacy time so students develop lifelong habits of reading, writing, and working independently." During the Daily 5, students select from five authentic reading and writing choices that are set up in stations: read to self, work on writing, read to someone, word work, and listen to reading. Students may learn best through hands-on learning as opposed to watching or listening to others. Mistakes are part of the learning process; the more practice, the fewer mistakes. Background knowledge and skills sets differ student by student which means that preparedness for learning also differs. For academics, the gradual release of responsibility framework owes a great deal to the theories of familiar social behavior theorists. 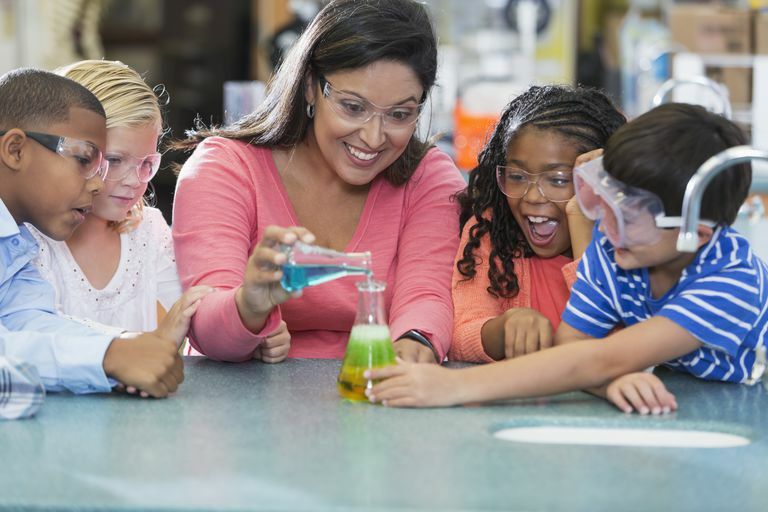 Educators have used their work to develop or to improve teaching methods. The gradual release of responsibility can be used in all content areas. It is particularly useful in providing teachers a way to incorporate differentiated instruction for all content areas of instruction.